From Ted to Trump: Why Do You Want the Gig? Well, I’m, ah, were I to make the announcement and to run, the reasons that I would run is because I have a great belief in this country that it is, there’s more natural resources than any nation in the world, there’s the greatest educated population in the world the greatest technology of any country in the world, the greatest capacity for innovation in the world and the greatest political system in the world. Things went downhill from there. (Unless you count this – I would basically feel that it’s imperative for this country to either move forward, that it can’t stand still or otherwise it moves backward – as great rhetoric). 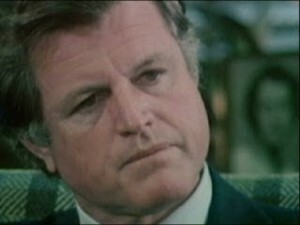 Kennedy’s nearly-incoherent response to interlocutor Roger Mudd long ago became an iconic image for a candidate or campaign that simply has no rationale for being. Sort of like Donald Trump’s. Recount that election I won! As the (gulp) president-elect (gaggghh!) worked earnestly to unite the country over the holiday weekend by falsely claiming that Hillary Clinton’s ever-growing, 2.5 million vote lead in the popular vote is due entirely to fraudulent ballots cast by undocumented immigrants (while paradoxically attacking her for supporting a recount in what he says is a fraudulent election) Kennedy’s Mudd Moment came to mind as we recalled Herr Trump’s similar, if steroid-level, failure to answer the why-you-want-it question. Where Kennedy babbled on the subject for a mere 242 words (many in complete sentences! ), however, Trumpkins spewed nearly 3,000, in stream of consciousness bursts, byways and digressions, when Bob Woodward and Robert Costa of the Washington Post posed their own version of the Mudd question in March. Trump now offers daily demonstrations that indicate his one and only purpose in campaigning for the presidency was to, well, campaign for the presidency. His utter inability, way back last spring, to compose a single comprehensible, let alone cogent, sentence about why he wanted the presidency explains a lot about why he’s quickly reverting to comfort zone Twitter campaigning instead of focusing on, you know, the problems of the nation. In that context, it’s worth looking back at the incredible dreck he disgorged in the WashPost interview, published April 2. Where do you start the movie of your decision to run for president? Because that is a big deal. A lot of internal/external stuff, and we’d love to hear your monologue on how you did it. Where do you start the movie? I think it’s actually — and very interesting question — but I think the start was standing on top of the escalator at Trump Tower on June 16, which is the day — Bob, you were there, and you know what I mean, because there has. . . . I mean, it looked like the Academy Awards. I talk about it. There were so many cameras. So many — it was packed. The atrium of Trump Tower, which is a very big place, was packed. It literally looked like the Academy Awards. 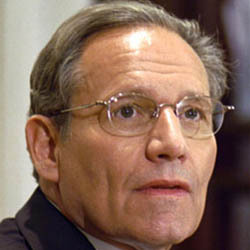 And . . . .
Woodward then interjects, for the first of about 456 times, in an effort to keep Trump on course and to get an answer to his question. “But we want to go before that moment,” he said, as Costa helpfully suggests, “Maybe late 2014 or before you started hiring people? There ensued a long, painful, absurd, hilarious and, in retrospect, horrifying, colloquy in which the steadfast Postmen used all their tools and techniques as interviewers to force an answer from a guy who clearly had never spent a single minute thinking about the question. Herewith a lengthy excerpt that provides a taste of the total idiocy the world’s greatest nation now faces in its president. DT: Yeah. I would really say it was at the beginning of last year, like in January of last year. And there were a couple of times. One was, I was doing a lot of deals. I was looking at very seriously one time, not — they say, oh, he looked at it for many — I really, no. I made a speech at the end of the ’80s in New Hampshire, but it was really a speech that was, it was not a political speech. But because it happened to be in New Hampshire . . . .
DT: Well no, the real possibility was the Romney time, or the Romney term. This last one four years ago. I looked at that, really. I never looked at it seriously then. I was building my business, I was doing well. And I went up to New Hampshire, made a speech. 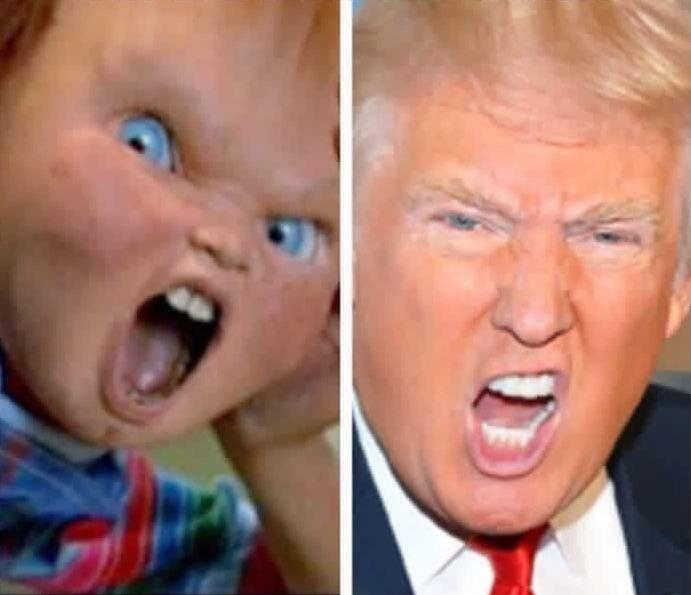 And because it was in New Hampshire, it was sort of like, Trump is going to run. And since then people have said, Trump is going to run. I never was interested. I could almost say at all, gave it very little thought, other than the last time, where Romney was running. And I thought that Romney was a weak candidate. I thought that — I thought Obama was very beatable. Very, very beatable. You know, you had a president who was not doing well, to put it nicely. And I looked at that very seriously. I had some difficulty because I was doing some big jobs that were finishing up, which I wanted to do. My children were younger. And four years makes a big difference. And I also had a signed contract to do “The Apprentice” with NBC. Which in all fairness, you know, sounds like — when you’re talking about “president” it doesn’t sound much, but when you have a two-hour show, prime time, every once a week on a major network . . . .
DT: What happened is, during that time that I was just talking about, I started saying I’d like to do it, but I wasn’t really in a position to do it. I was doing a lot of things, and I had a signed contract with NBC. But I started thinking about it. And the press started putting me in polls, and I was winning in the polls. In fact, the day before, I was on “Meet the Press” the day before I announced I wasn’t going to do it, and I got signed for another two years of “The Apprentice” and everything else. 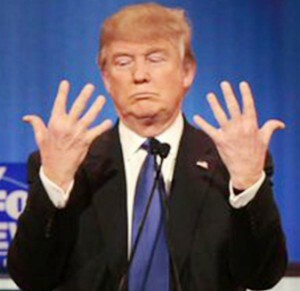 Which, by the way, I don’t know if you saw, but “The Apprentice” is a big thing. I made two hundred . . . .
DT: Yeah. You were shocked. Remember this crazy man, Lawrence O’Donnell — he’s a total crazy nut — he said, Donald Trump only made a million dollars with “The Apprentice.” I said, “A million dollars?” You know, when you have a show that’s essentially number one almost every time it goes on, you can name it. . . . So anyway, when they added it all up — and these are certified numbers, because you have to do certified numbers — it came out to $213 million. Okay? That’s what I made on “The Apprentice.” That’s just — and that’s one of my small things. That’s what I made. You know? So it was put at $213 million, and it was certified. And your friend Joe in the morning said, “There’s no way he only made. . . .” They had a big fight, and O’Donnell, Lawrence O’Donnell started crying. I never saw anything like it. Do you remember? He started crying. [Laughter] He actually started crying. But that shows the level of hatred that people have. But what happened is, I made — I had a very, very successful show. And they put me in polls, and I was essentially leading right at the top, without doing any work. Not one speech, not one anything. But any time I was in a poll, I did very well in the poll. Anyway, I decided not to do it. NBC called and Mark Burnett would call, and I did see if I could get out. I had another year on the contract. Because you’re not allowed, because of the equal time, you’re not allowed to have a show . . . .
Bottom line. There’s more, sadly, much, much more, but you get the idea. The point here, other than showing that a few news organizations actually did make a serious effort, despite the blanket trashing of “the media,” is simply to illustrate just how deeply Trump now is in over his head. 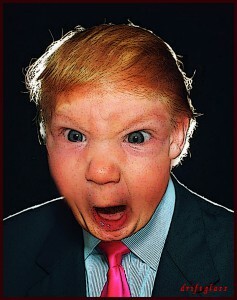 In those secret, secret, oh so secret moments before beddy-bye, when Little Donny gazes into the mirror to throw a net over that hirsute wedding cake concoction on top of his melon head, then looks down at his tiny, tiny hands, even he must begin to realize that you must always be careful what you wish for.